I plan on putting pyramid-style columns on the front porch but am unsure of the dimensions. 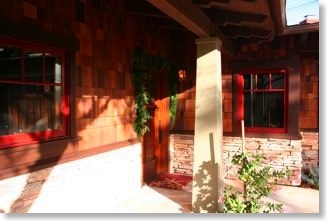 I noticed that you have these type of columns on your rear porch and was wondering if you could tell me the dimensions? This is a picture from my front porch which has the same columns as the rear. The columns are square and taper from the bottom to the top. Measured along one side of the column, the top is 10" and the bottom is 15". The columns are 8 feet tall.